Spending 2 nights out on the tundra in a customised mobile hotel amongst the bears in an area where they congregate, polar bear experiences don’t get any more intimate or thrilling. Coupled with 2 nights in the town of Churchill, this trip seriously over delivers on both wildlife and fascinating local culture. Arrive in Winnipeg and transfer to the historic Fort Garry Hotel. Built in 1913 by the Canadian Pacific Railway, this prestigious landmark has long been a symbol of genteel elegance in the heart of Manitoba's capital, which was once a fur-trading post and railway boomtown. This evening, meet for a welcome dinner and orientation with your Expedition Leader. Take a chartered flight to Churchill this morning, where you board a custom-designed Polar Rover vehicle for your transfer to the Tundra Lodge. 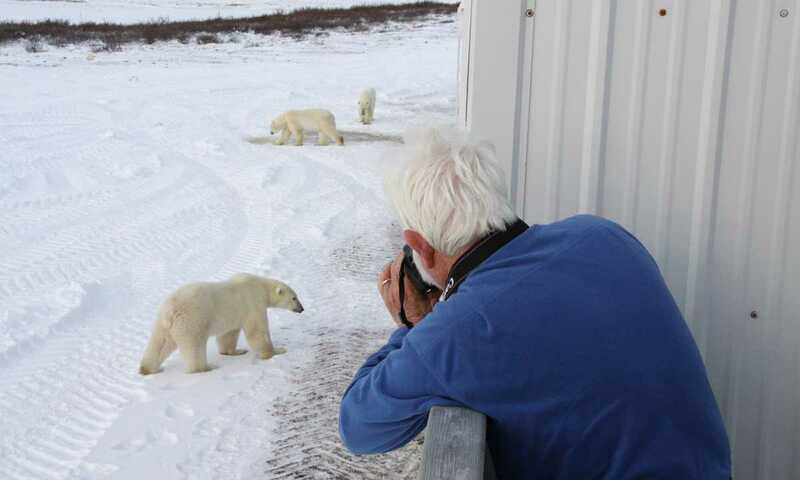 As you drive out of town, watch for Arctic wildlife against the vast, wide-open landscape--you may even be able to get your very first polar bear shots en route! Once you reach our tundra outpost, there'll be a presentation on polar bears by one of the Expedition Leaders, providing an enlightening introduction to your northern adventure. As dinner is served in the Tundra Lodge dining room, keep your camera at the ready, you may see polar bears wandering right outside the windows! 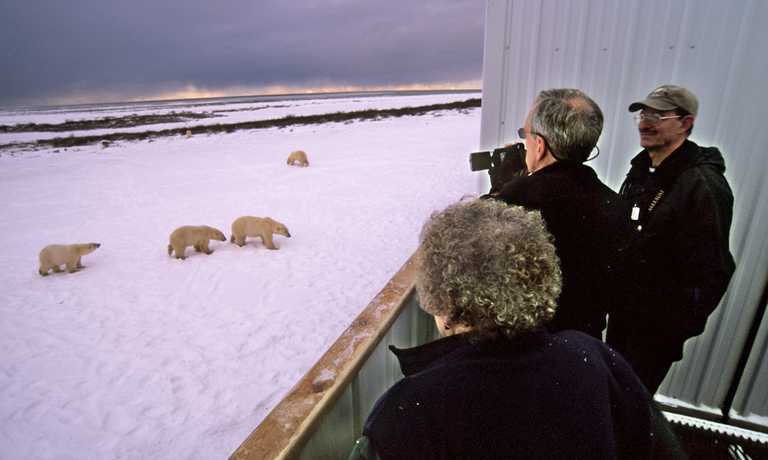 The Tundra Lodge is strategically positioned at the beginning of each season in the best area for bear viewing. Inquisitive bears often approach the lodge, which features rows of windows and safe outdoor observation decks to accommodate your own curiosity. As you watch the bears interact, you'll be delighted by their antics and rugged beauty. 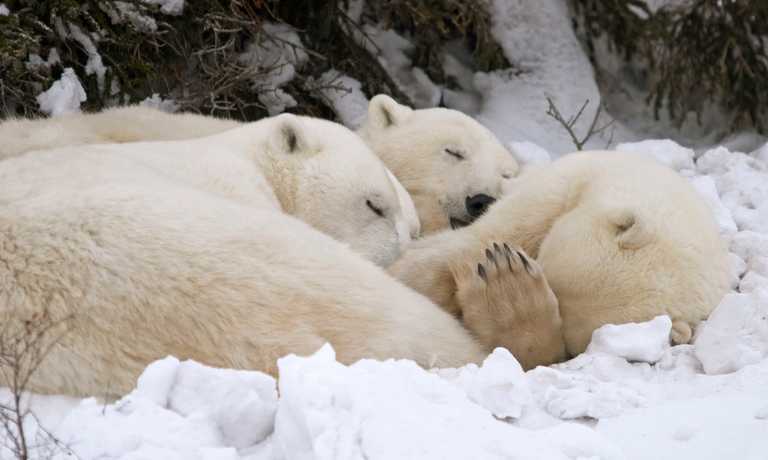 You may see protective mothers with cubs, young males play-fighting, and solitary individual patrolling the tundra as they wait for the ice on Hudson Bay to freeze. The unique location of the Tundra Lodge, combined with excursions in the special all-terrain tundra vehicles called Polar Rovers, affords lodge guests the best possible wildlife encounters in the region. The small spit of land where the lodge is located often attracts the most bears in the entire area. The guide and entire group may opt to take a full-day excursion together or split time between a half-day trip and viewing bears from the lodge. In addition to polar bears, you may also spot caribou, Arctic fox, Arctic hare, snowy owl and ptarmigan. At the end of an exhilarating day, retire to your cosy accommodation for dinner and a naturalist presentation. In the light cast by the lodge across the frozen tundra, look for the illuminated eyes of animals that roam nearby after dark. And if you are fortunate to have a clear night and good luck, you may see the North's spectacular Aurora Borealis light show after darkness descends, Churchill has some of the world's most concentrated northern lights activity. Today, depart the Tundra Lodge on a morning drive across the tundra back to Churchill. This remote hamlet was once a Hudson Bay Company trading post, and the comprehensive tour of the town and environs includes cultural activities that highlight the frontier history and indigenous heritage of the area. There will be time to wander the few blocks that comprise 'downtown', with a chance to pick up some souvenirs and Arctic handicrafts from the local shops. Later this afternoon, check into the hotel. You'll have dinner at a restaurant in town, followed by an evening presentation. Head out onto the tundra this morning for a full day of nature and wildlife observation. Travelling aboard the custom Polar Rover, scout for polar bears and other Arctic animals. The vehicles are the newest and best in Churchill, with huge picture windows, a slanted front windshield that allows you to look down on bears that may be in front of you, and best of all, a steel-mesh grated observation deck on the back, bears sometimes wander directly beneath you, and you are able to come safely within inches of them! The heated vehicles are large and comfortable, and while they can accommodate 30 or 40 passengers, numbers are fixed at 16 or fewer, so everyone has a window seat and plenty of room to spread out and get terrific photos. This morning, learn about a distinctly northern pastime: dog sledding. You'll meet a local musher and hear all about this traditional means of Arctic transportation, interacting with the lively dog team as you learn about their care and training. Then, take turns enjoying an exhilarating ride as the dogs whisk you down a trail through the boreal forest. 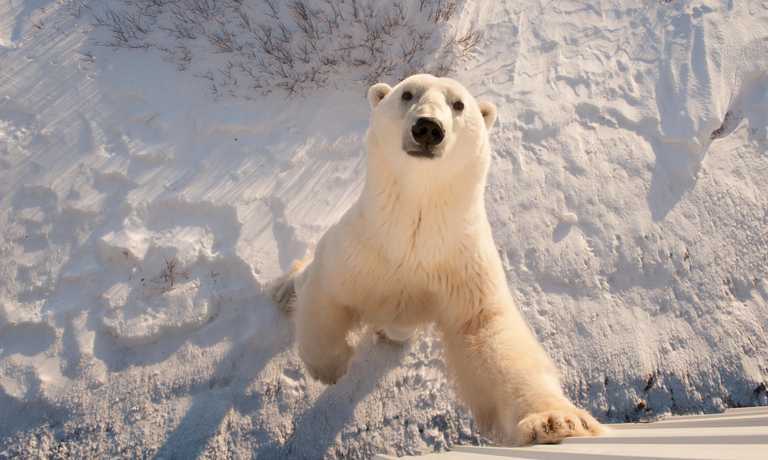 Depending on flight schedules, there may also be time for an optional helicopter tour over the tundra, a great chance to spy polar bears from the air. Enjoy a farewell lunch together in Churchill before your return flight to Winnipeg, followed by a reception and final night at the Fort Garry Hotel. Departure dates are confirm approx. 10 months in advance. This means that they could move by a few days in either direction. To secure your place(s) we strongly recommend that you book ahead now, but that no concrete pre- and post- arrangements involving flights, hotels or other adjacent plans are booked until we confirm the exact dates.